I can’t speak for all of you Jet fans out there but I do know one thing. I absolutely cannot wait for the season premiere of Hard Knocks. The Jets are the most interesting team to look at from many different stand points. They have an incredible amount of talent, they are coming off a very successful (surprising to some) postseason, they have such an absurd mix of personalities, they have the swagger of a young Muhammad Ali and they have a coach who just won’t stop talking (some wish he would just keep his mouth shut but I hope he never stops talking). Before this season I had never really gotten that into Hard Knocks. The past two seasons I really only tuned into find out what kind of antics TO and Ochocinco were up too. 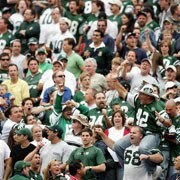 However, this year due to the fact that it is the Jets I Just can’t wait. I have watched every preview I can get my hands on, and everything I’ve seen keeps shouting out loud to me that we are in for one hell of a season (with both the show and with the team itself). This season will be like a dream come true for Jets fans, giving us the inside look at what really goes on with our favorite team. *Four (4) winners (children) will win a Jets Assistant Team Captain experience for a Jets preseason football game. Pre-registration begins at 11AM. Must be accompanied by a parent or legal guardian to participate. First-come, first-served!! Dude, I am a Dolphins fan and I can totally agree with you about the Jets being the best choice for teams to be featured on Hard Knocks. Enjoy NY Jets rumors, news, talk?